Newsweek's latest cover story represents the first time in a year the magazine gave top billing to an examination of Christianity. But religious-themed cover stories have long been a hallmark of the publication, and Jesus, in particular, has been a recurring figure. Before the turn of the century, the magazine explored "2000 Years of Jesus." When Mel Gibson's "The Passion of the Christ" was at the center of the national conversation in 2004, former editor Jon Meacham asked, "Who Killed Jesus?" 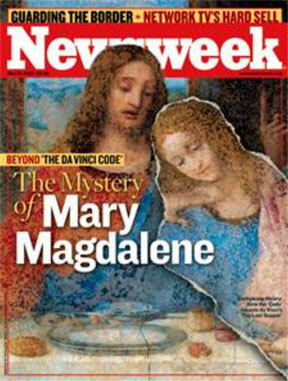 Around Christmas time that year, Newsweek's cover story analyzed the "birth of Jesus." During the Easter season in 2005, Meacham, no stranger to divinity studies, penned a cover story titled, "How Jesus Became Christ: From Resurrection to the Rise." Jesus continued His familiar place on Newsweek's covers under the leadership of former editor-in-chief Tina Brown, appearing on three covers in 2012 alone. 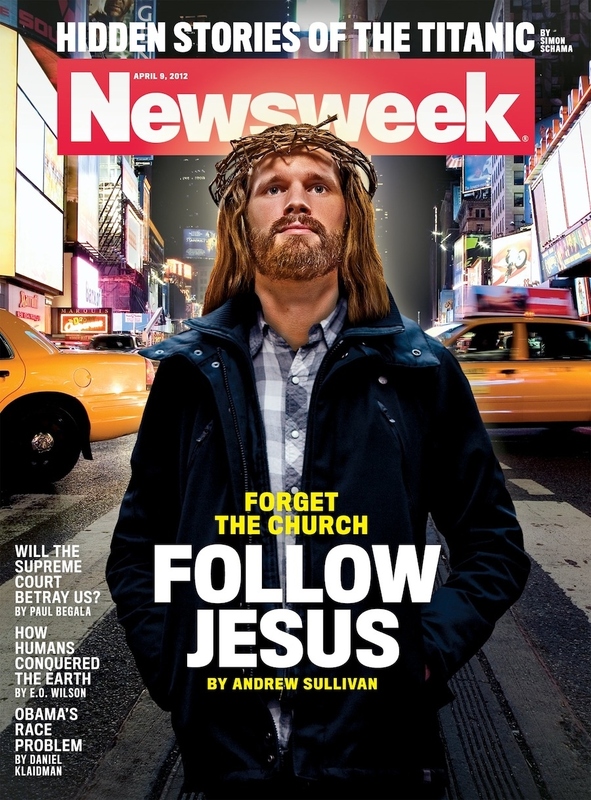 One of them, by the blogger Andrew Sullivan urged readers to "Forget The Church" and "Follow Jesus" in a cover story that featured an indelible shot of the Messiah dressed as a twenty-something - or "Hipster Jesus" as the Atlantic Wire described it. 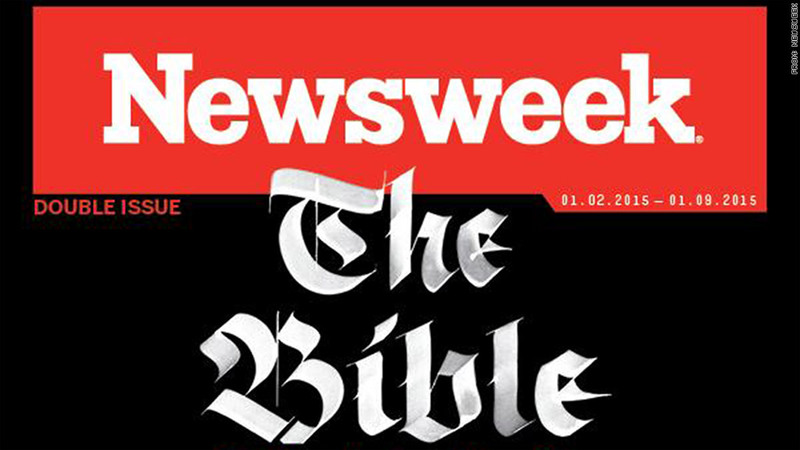 Newsweek's cover archives only go back to the beginning of 2013, but the prevalence of the Jesus-centric covers has been preserved by other outlets, including the now-shuttered Atlantic Wire. Rival magazine TIME has earned a similar reputation, with many past covers years closely paralleling Newsweek's. But like Newsweek, Time ran only one cover story on Christian themes in 2014: an April issue featuring an interview with Pastor Barbara Brown Taylor. Other Christian figures show up on newsstands, too. 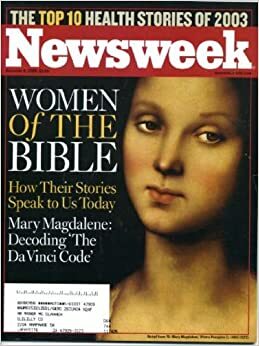 The Virgin Mary has appeared on Newsweek's cover multiple times, and Mary Magdalene actually made the cover in 2003 and again in 2006, each story piggybacking on the blockbuster novel-turned-blockbuster movie "The Da Vinci Code." What's united many of Newsweek's covers is the perception that they're motivated not by news value, but by magazine sales. Pastor Rick Warren was one of many to accuse Newsweek's editors of cynical intentions when he took aim at Sullivan's piece in 2012. "I think it's disingenuous that magazines like 'Newsweek' know that their circulation goes up at Christmas and Easter if they put a spiritual issue on the cover, but it's always bait and switch," Warren told CNN's Jake Tapper, then with ABC News. Rick Edmonds, a media business analyst at the Poynter Institute, offered a similar explanation. "The short answer is that those articles typically get a good response and they sell very well," Edmonds told CNNMoney on Monday. And while he said those covers aren't necessarily the most "newsy," Edmonds did say that the stories often tackle issues typically untouched by mainstream newspapers and television outlets. Newsweek's latest cover story, by Kurt Eichenwald and published online the day before Christmas Eve, continues that tradition. It is headlined "The Bible: So Misunderstood it's a Sin," and calls out"God's frauds, cafeteria Christians who pick and choose which Bible verses they heed with less care than they exercise in selecting side orders for lunch." Critics have contended that Eichenwald was out of his depth. RedState editor-in-chief Erick Erickson, who enrolled in seminary earlier this year, said that Eichenwald "displays staggering ignorance to attack Christianity." Michael B. Dougherty, a senior correspondent for The Week, engaged in an extended back-and-forth on Twitter with Eichenwald on Christmas Day. Eichenwald, for his part, told CNNMoney that he had been working on the story "for basically three decades." He said he pitched the idea to Newsweek in October and that personal matters dictated the piece's Christmas publication. Eichenwald also brushed off the criticism of the piece. "There is no doubt that fundamentalists would not accept this, particularly since the point was, many of those Christians who say the Bible is the unerring word of God pick and choose what they want to believe," he said. "Which is why the primary part of the piece is asking questions." Eichenwald's polemic was bound to spur a dialogue (if not controversy) and, like previous Newsweek stories of that ilk, that appears to be the point. But Newsweek editor-in-chief James Impoco disputes the notion that the latest cover resembles previous issues. "Seems you can't have it both ways -- accusing us of pandering for sales and stirring controversy," Impoco told CNNMoney in an email on Monday. "It's plain silly to put Kurt's examination of The Bible in the same category as a 90s style newsweekly Jesus cover. We were very aware of the cliche. In case you haven't noticed, The Bible is news."